I love all types of fresh fruit. But, if I had to pick my favorite? Peaches, no question. And not just any peaches – local peaches in the height of peach season, preferably that I picked myself, are the absolute best. We haven’t been peach-picking yet this year, due to the cuddly new family member who’s keeping us busy, but I’m still able to get my hands on fresh, local peaches, thanks to the abundance of farmer’s markets in Nashville. During our latest visit to the farmer’s market, I got a dozen awesome local peaches. While I ate a bunch of ’em straight up, I wanted to use the remaining ones in a new-to-me dessert. And thus, these peach bars came into being. So, how were they? So darn good. The bars have three layers – the rich, decadent shortbread crust layer, a sweet/tart juicy fresh peach layer, then the delicious, buttery pecan + oat crumble topping. Put those three layers together + what do you have? One of the tastiest peach desserts I’ve ever eaten, that’s what! So, if you’re looking for a fabulous summer recipe to showcase in-season peaches, give these bars a try! And if you’re looking for more scrumptious peach-centric recipes, check out my fresh peach lemonade + my peach + raspberry galette – both are AMAZING! Heat the oven to 350°F + lightly grease a 9×13-inch baking dish. In the bowl of a stand mixer (or in a large bowl, using a hand mixer) cream the butter with the brown sugar + vanilla until light + fluffy. Turn off the mixer + add in the flour, salt, ginger, + cinnamon. Mix dry ingredients in just until the dough is soft + pulled together. Press the dough firmly into the bottom of the prepared baking pan + refrigerate while preparing the filling + topping. Roughly chop the peaches into 1/2-inch pieces + toss with the sugar, cornstarch, + salt. Set aside. Wipe out the mixer bowl + mix 1/4 cup softened butter with the oats, flour, pecans, cinnamon, + salt until soft + crumbly. Melt the remaining 1/4 cup butter + set aside to cool. Spread the chopped peaches over the chilled dough base. Evenly crumble the topping over the peaches, + drizzle with the melted butter. Cool (or chill) for at least an hour before slicing + serving. I recommend keeping these in an airtight container in the fridge – they’re easier to cut when chilled + will last longer (about a week). I let the sliced bar(s) come up to room temperature for about 30 minutes before serving, but they’re tasty cold, too! I love proper summer peaches – this looks like such a great way to use them! Such a fabulous recipe for a summer get together! Love the flavour combination! I love anything that involves cooked peaches and these look like they would be no exception! Yum! peaches are absolutely delightful this time of the year, im not much of a bar person but totally checking your peach lemonade out. 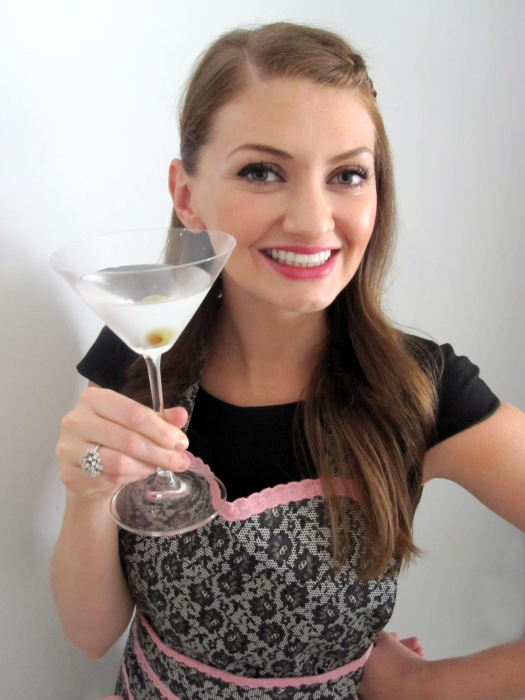 The peach lemonade is amazing, Dixya – you’ll have to try it + report back on how you like it! I bet the juicy peaches in this crumble just make for the most amazing flavor! I love a good peach-pecan dessert, and since there’s lots of both here in Texas, I can see myself making these soon! Thanks for sharing, Amy. Hope you’re enjoying summer with your little lady! So far, it’s going great – thank you, Georgia! I am going shopping today and definitely hitting the produce market here for some peaches – This may be a fun treat to make with the kids later. I’m totally remedying being out of town when you made these by making these myself when I get back. They look so buttery + crumbly + delicious! You are too sweet. =) But really, it’s all because Fearless Baby is proving to be super mellow + an excellent sleeper. I know there’s a good chance that the 2-4 hour naps a few times a day won’t last long (but i hope they will), so I’m making the most of cooking/baking/blogging during them while I can! Oh, I hear you about peaches. They are luscious, and they just epitomize summer. Those Crumble Bars look great. I don’t think I have ever seen them with peaches. Nice job! looks like we’re on the same page with fruity desserts today yours look to die for! peaches have tasted like CANDY lately! Yum! Oat & fruit bars are amazing. I just love their texture. I’m so impressed that you’re baking and blogging with a newborn! The summer I had my kiddo, I felt like I was doing good if I got a shower in before noon. These bars sound so good, Amy…we love fresh peaches and usually get a bushel from a nearby orchard, so I’m always looking for ways to put ’em to use. These look fabulous! Probably the only thing I like about summer is the wonderful fresh fruits and veggies we have available to us! My girl is working on her baking skillZ this summer, and I think this would be a great teaching tool for her. Mainly because the grader (me) really wants to eat them! 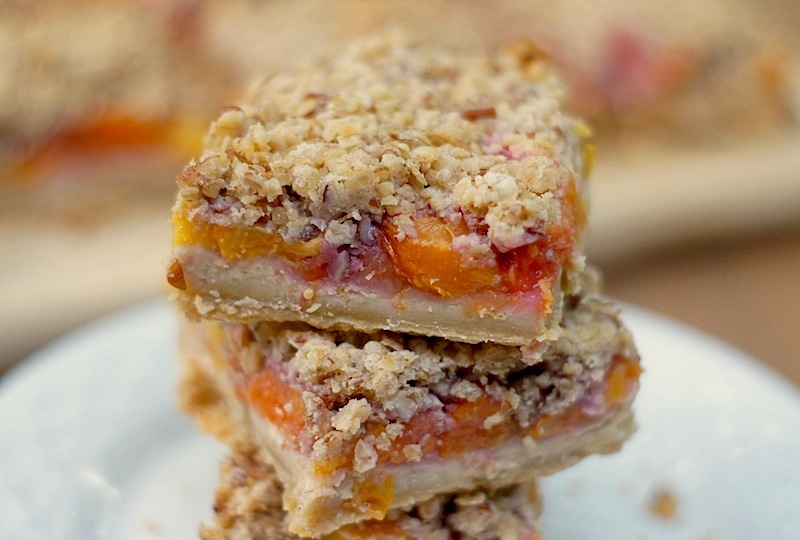 Peach bars sound so fantastic!! I would love to get my hands on these!! I adore peaches, and pecans are a close second! I’ll definitely be trying these! One of the best ways to used excessive summer fruits is making a crumble. These look delish!! Yum!! These look amazing! Our peach season hasn’t started yet, so I’ll have lots of opportunity to try out this recipe. oh my fresh peaches…so jealous. we just have strawberry & blueberry picking here in WI. I would just fall over to have these at our farmers market. 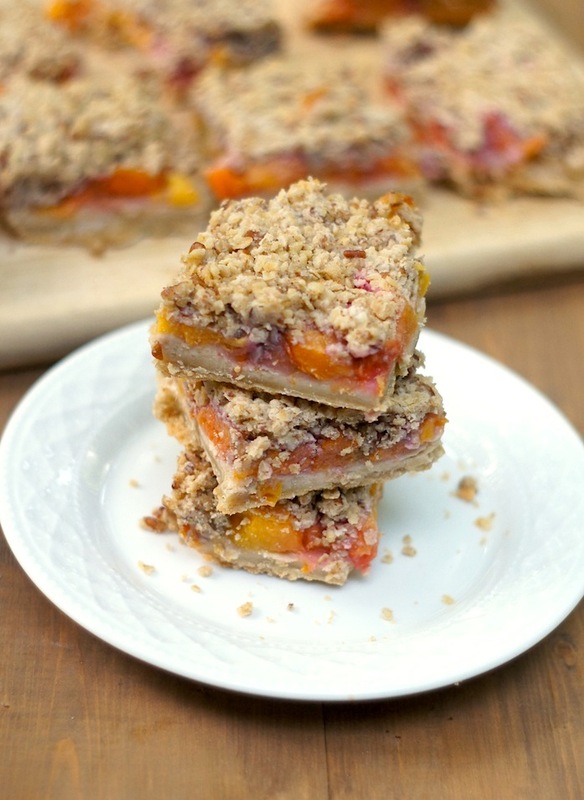 I love peach season and these oat bars look like the perfect way to use the fresh peaches that are sitting on my counter! Peaches are so much fun to eat plain and cook with. This would be perfect every morning for breakfast. Peaches are most definitely my favorite fresh fruit as well! Not only do these bars sound amazing, but that peach lemonade sounds so refreshing and incredible. Must make both of these soon!! oh these bars look awesome. i can’t wait til peaches appear at our farmer’s market! prob in a few weeks. Ooo the colors from the fruit are so pretty! Fresh ripe juicy peaches just scream summer don’t they!?! They are so refreshing even by themselves in this hot hot weather. I saw this recipe in Cooking Light recently and had it on my calendar to make when peaches came in at their peak. I then saw it pop up on several sites since then and hesitated to make it. But I got a bushel of local peaches and was having some ladies over and I just couldn’t resist. This was the perfect combination of sweet and tart and very refreshing! I ending up adding a little more water at the end to make it less concentrated because I don’t like things super tart and it worked perfectly. Goodness, those look so good. I can eat peaches all day, want to try this! Following you now on Pinterest! What the heck. I saw a pin that led over here and I was very confused when I got here. For some reason, I thought that you were taking a break with blogging after the baby came. I’ve missed months. I don’t know why I thought that! Ugh. Anyway, these look great! Love the thick layer of fruit. Awww, I’m sorry! I wasn’t sure how often I’d blog after busy, but she’s been a mellow baby + a great sleeper, so I’ve kept up with posting once a week. Great to see you back here!